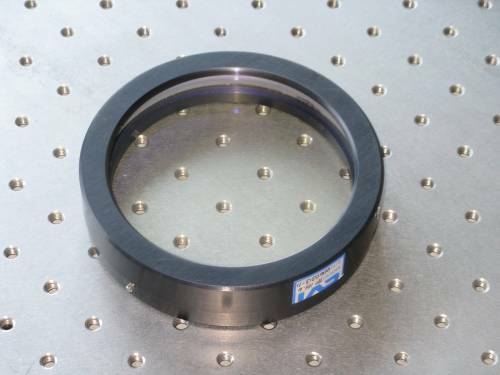 A special version with antireflective coating for Ritchey-Common Test is available as well. 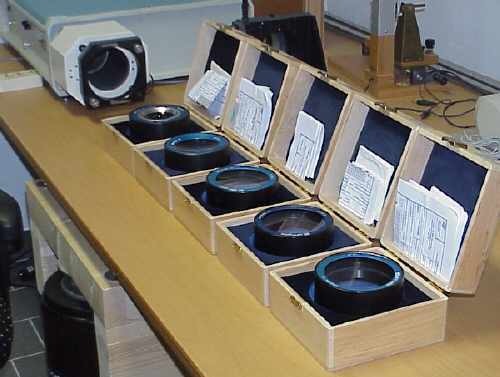 All MPF Transmission Spheres come in a wood box and include a test certificate. 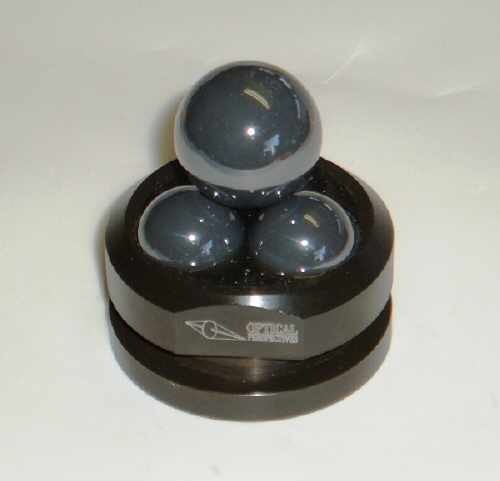 CaliBall is a 25.4mm diameter, high precision silicon nitride ball and kinematic mount used to calibrate phase-measuring interferometers by determining the errors in the transmission-sphere reference-surface. The CaliBall is located with its center at the focus of the transmission sphere and aligned to better than one fringe. A measurement of the ball is taken, the ball picked up, arbitrarily rotated and replaced on its mount. The center of the ball will return to the original position due to the kinematic mount. Another measurement of the ball is then taken. 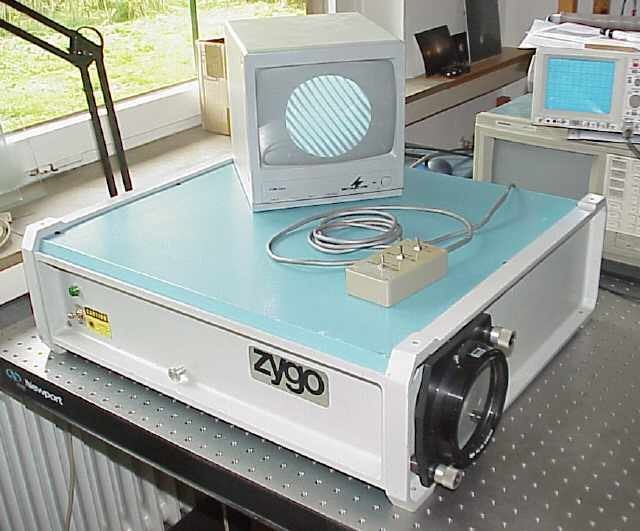 This process is repeated about a dozen times and the interferograms averaged. The average represents the errors in the transmission sphere and interferometer because the ball is extremely round and the small imperfections of the ball average to zero. The calibration can be done in as little as 10 minutes and the result is difficult to dispute. Best used with low F/# transmission spheres. 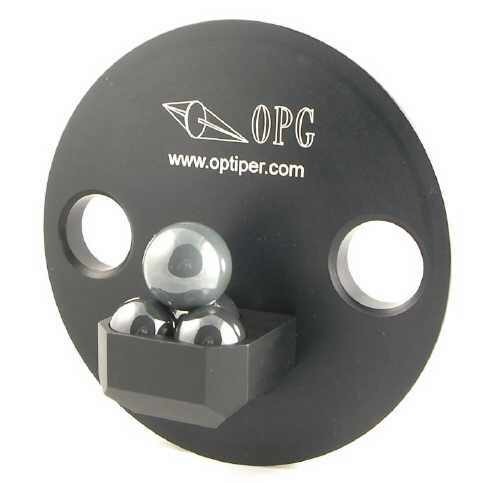 This is the second version of the CaliBall, which is used if the optical axis is horizontal. 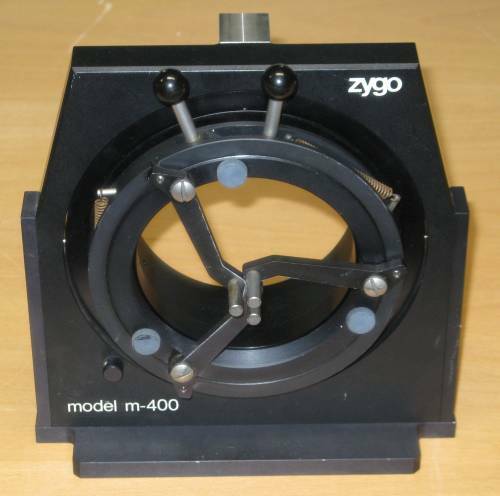 It fits into a standard 4" Zygo bayonet mount. 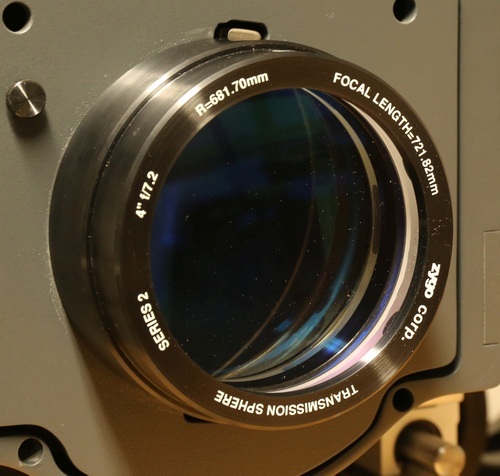 CVI Technical Optics Ltd. 4"
This TF is new !